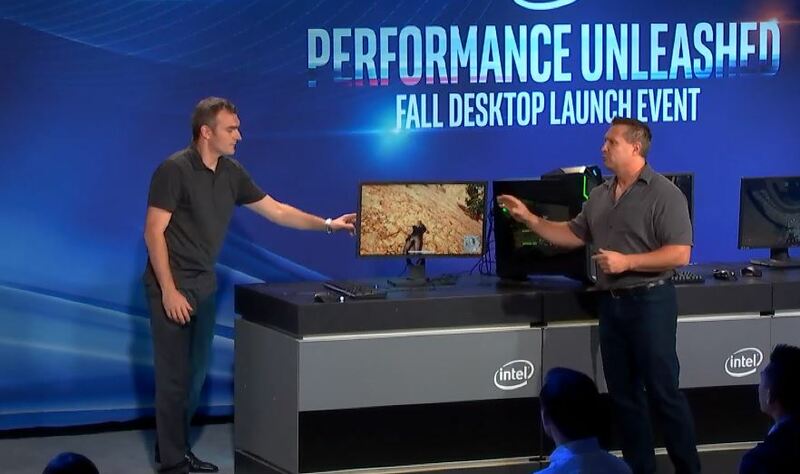 Today in New York, Intel announced its next-generation lineup of workstation parts. The headliner, undoubtedly, was the Intel Xeon W-3175X CPU which is an overclockable version of the Intel Xeon 8180 28 core behemoth, with notable feature castration. We also received an updated set of Intel’s quad memory channel workstation SKUs that manifest themselves now as the Core i7/i9 products. Perhaps the release that will have the most impact on the server and professional workstation market going forward is the Intel Core i9-9900K with 8 cores and we will discuss why. Today in New York, Intel announced a part that it teased at Computex 2018 in June. 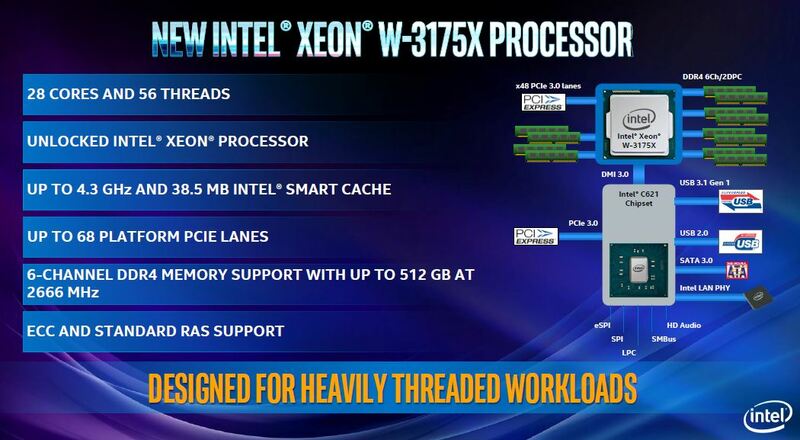 The Intel Xeon W-3175X is said to have 28 cores, 56 threads, and a 3.1GHz base clock/ 4.3GHz Turbo. More exciting is that this is an unlocked frequency part, meaning that one can go higher, albeit using more power. Like the Intel Xeon Platinum 8180, the Intel Xeon W-3175X supports 38.5MB cache and six channels of DDR4-2666 with ECC. There are a few differences to a higher-end Intel Xeon part. There is only 512GB DDR4 memory support at DDR4-2666. This is a bit strange. If one fills the DRAM channels with 32GB DIMMs, one gets 12x 32GB = 384GB of RAM. If you up the ante to 64GB DIMMs, that yields 768GB. Unless a DRAM company decides that this represents a market for 42.67GB ECC DIMMs, then this is an extremely strange memory figure for a hex channel 2DPC memory configuration. The chip also features a 255W TDP, or about 25% higher than the Platinum 8180. Further, Intel states that there are up to 68x platform PCIe lanes. This is a clear attempt to edge the AMD Threadripper 2990WX with its 64x PCIe 3.0 lanes. At the same time, Intel includes the Lewisburg PCH lanes here. Intel showed diagrams of the Intel C621 chipset. This is a complete shame. Intel needs to charge a premium for the Xeon W-3175X. At this end of the market, professional engineering applications cost thousands of dollars per core or more. Intel should have mandated the Intel C624 or even the C627 chipset. The Intel C621 only requires a PCIe x1 uplink, but the higher-end chipsets can add features like 4x 10GbE PHYs and 100Gbps crypto and compression. The opportunity to do something unique, making 10GbE standard on expensive workstations, was lost. PCIe lanes are a valuable commodity, but 10GbE is still a valid workstation networking option although most high-end workstations are going to move to 25GbE/100GbE for higher bandwidth and latency. This is going to be a great CPU for applications that need high core counts and clock speeds. Undoubtedly, in most real-world scenarios it will be a better solution than the AMD Threadripper 2990WX due to its single NUMA node design. At the same time, the Intel Data-Centric Innovation play makes us want more than cores and clocks from Intel, especially if this can be done at a minimal incremental cost. Announced today the Intel Xeon W-3175X is expected to start shipping in December. Another announcement at the event was a refresh of the Intel X-Series SKUs. These are the chips that straddle the line between high-end consumer and workstation CPUs. Intel is doing a lot with this generation to increase the appeal. Here, Intel has a reasonable 165W TDP and high clock speeds, including unlocked frequencies for overclocking. These are X299 platform CPUs and they somewhat mirror the original Xeon W series, save the new Xeon W-3175X announced today. They feature quad channel memory and 68x “Platform” PCIe lanes including those from the chipset. One of the compelling use cases for this is photogrammetry. For those that are not aware of the process, it allows one to take a large collection of 2D photos of a space or object, then turns them into a 3D model. This is an area that Intel sees its CPUs have a big advantage. We will quickly note that some of this software is becoming CUDA aware for GPU acceleration but many of today’s packages are still CPU limited. The new Intel Core i9-9900K is the one that we expect to change the face of lower-end servers in the next few weeks. Intel is finally announcing an 8 core, 16 thread part for the mainstream consumer segment. Although it is a good year and a half behind the AMD Ryzen launch, it is making that up with a few features. The Intel Core i9-9900K is multiplier unlocked but will hit up to 5.0GHz out of the box. If you are looking for single threaded performance, this is it. Beyond the 5.0GHz turbo clock, one gets twice as many cores as we saw only a few quarters ago. This is important because these SKUs tend to trickle their way into the low-end workstation and server markets trading unlocked multipliers for ECC support. If you read our piece: Looking back at Intel Xeon E3-1200 V1-V6 to the New Xeon E-2100 you will see this evolution in the server space. We expect lower-end SKUs such as the Core i7-9700K and Core i5-9600K to be available soon as well. 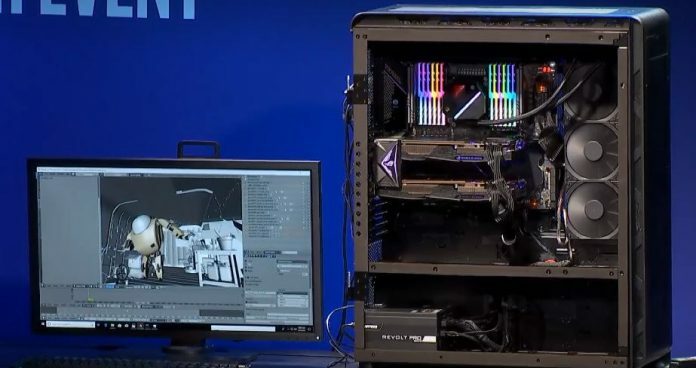 Intel actually showed off the CPU in a server-like demo. It had two virtual machines running on a single box. Each had its own GPU and was playing a game. Intel did not mention this, but we would advise STH readers to check their Microsoft Windows licensing agreements before trying this. Microsoft has strict virtualization terms in Windows licensing and there is a good chance that if you run this type of setup you will be in violation of their license terms. Overall, we expect new Intel Xeon E-2100 (or similarly named) CPUs to hit the market with up to 8 cores and 16 threads. 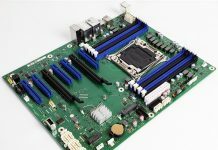 For those that are building smaller servers or who want more power in corporate workstations, these are going to be the most exciting SKUs in recent memory. In that market, Intel just went to 6 cores with the Intel Xeon E-2100 Launch a few weeks ago which means earlier this year we were still at only 4 cores in the segment. Intel feels the pressure from AMD and is fighting back. This is the great part about competition in the industry. For consumers we are seeing the Intel and AMD competition drastically progress innovation on the consumer side that had been stagnant for some time. For the server and workstation markets, this competition is quickly changing what is possible in compute form factors whether they will be a 1U server or a workstation with a 255W+ TDP 28 core CPU. “Foreshadow” security problem fixed? Otherwise, just more faulty chips with “Spec Violation Inside” and “Security Risk Inside”! 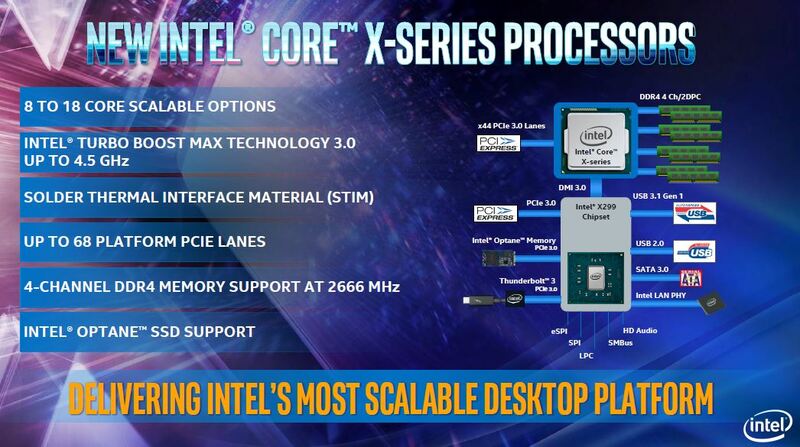 So is now Intel ready to ship E21xx? No servers, no reviews of these CPUs still from June. AMD today announced CES 2019 keynote address by Dr. Lisa Su. The keynote will explore 7nm architecture in high-performance computing that will ‘help redefine the future of gaming and virtual entertainment’. AMD CEO is likely to talk about the future of Ryzen and Radeon 7nm products. The company has already mentioned that Radeon Vega Instinct should launch at the end of this year. It is likely that the keynote will cover more 7nm products designed for graphics, such as Radeon RX and Navi architecture. Dr. Lisa Su might also give an update on the latest product roadmap for Ryzen 3000 series (Zen 2 architecture). The keynote will be delivered in Las Vegas on January 9th. BMC, IPMI is asking for security leaks. Theodore – that is partially my fault. We did the X11SCA-F review. In the process we had the Core i3-8300 which was surprisingly good. Let me see how soon we can schedule some of the E-2100 series CPU reviews. The pipeline is extremely full.i think we have 7-9 CPU pieces queued. I cannot believe how Intel is so cheap that they could not improve on the Xeon 8180 other than unlocking the clockspeed!!! I too think they should have released it with 64 pcie cpu lanes and an 8 lane dmi channel in order to properly challenge threadripper 2990wx but no…we will get an overclocked 20 core xeon with NO die changes at all!!! It is truly pathetic that they would pair the w3175x with the c621 chipset!!! For some numskull reason, intel is trying to protect the Xeon 8180…what is intel thinking!!! Do the people looking for a high speed workstation want 68 Platform pcie lanes!!! Are we that stupid??? 2x M.2 NVME, 1x Sata SSD, a 2080TI, and a 40G NIC or will the lack of PCI-E lanes limit my performance ? Intel commissioned benchmarks showing that the i9-9900K is faster than the AMD 2700X — if you give i9-9900K better cooling, different memory timings, and disable four of the eight cores on the 2700X. In other words, the performance of the i9-9900K isn’t giving Intel marketing a lot to work with. can the optane dimm memory stick be used as storage in the memory slot?